Every once in awhile a movie comes along that falls into the "so crazy it just might work" category. Alexander Payne’s Downsizing is one of those movies. It’s not about a company dealing with a workforce reduction, but rather about people who literally shrink themselves and move into communities where other smaller people now live. The cast recently saw a downsizing of its own as Reese Witherspoon had to leave the project due to a scheduling conflict. However, her role has now been taken up by former Saturday Night Live castmember, and future Ghostbuster, Kristen Wiig. Downsizing has been a project in development since at least 2008. Reese Witherspoon’s name had been attached to the film even back then, so this was obviously a project that interested her. Likely because Alexander Payne, who wrote Downsizing, was also responsible for her brilliant comedy Election. When the film began to gain some actual traction about a year ago, Witherspoon's interest became official but, as is common in Hollywood, the schedules of competing films don’t always align and so now Witherspoon has bowed out of the production. 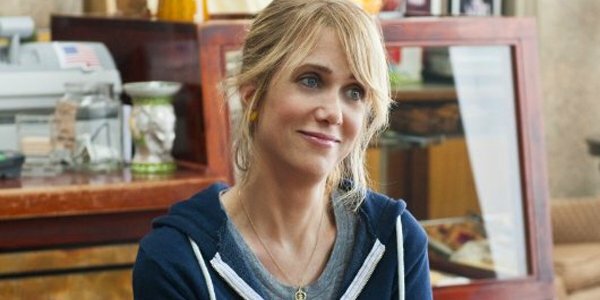 Deadline reports that Kristen Wiig will be taking over the role and joining the phenomenal cast which includes Matt Damon, Christoph Waltz and Alec Baldwin among others. The film is scheduled to begin production this spring and will focus on Matt Damon’s character as an Omaha man (fitting, considering another of Alexander Payne’s films was the Oscar-nominated Nebraska) who undergoes the Downsizing procedure. Little more, no pun intended, is known about the film’s story beyond that. The movie has been described as a comedy/drama, which considering Alexander Payne’s previous work as the writer of such films as Sideways and The Descendents is exactly what Payne does best. It’s also being described as a social satire, so we expect the traditional meaning of the title, Downsizing will likely play a role in the story along with the literal meaning that the film will deal with. Kristin Wiig’s next film is the highly anticipated Ghostbusters reboot set for this summer. In between that film and this one we may see her in the heist comedy Masterminds alongside Zach Galifianakis, which is currently set for a September release, though with the problems that studio Relativity Media has been having , there’s a question whether we’ll ever see that one at all. Does Downsizing sound interesting to you, or just plain weird? Let us know your thoughts.